There are various call management tools on the market these days, but not all of them come packed with the best features that you might need. That’s why we chose five of the best options for call manager software, so we can make your choice much easier. We listed their best features and functionalities, so check them all out and pick your favorite according to your needs. Ezy Call Manager is a productivity tool that tracks and manages incoming calls and follow-up action for your organization. This program is compatible with Windows, and it can be used for a home-based business or in a more extensive environment up to 30 users. You will be able to log in all the incoming calls to your organization. It allows you to prioritize all calls so that the follow-up action can be done according to its priority. You can keep a record of all follow-up actions. 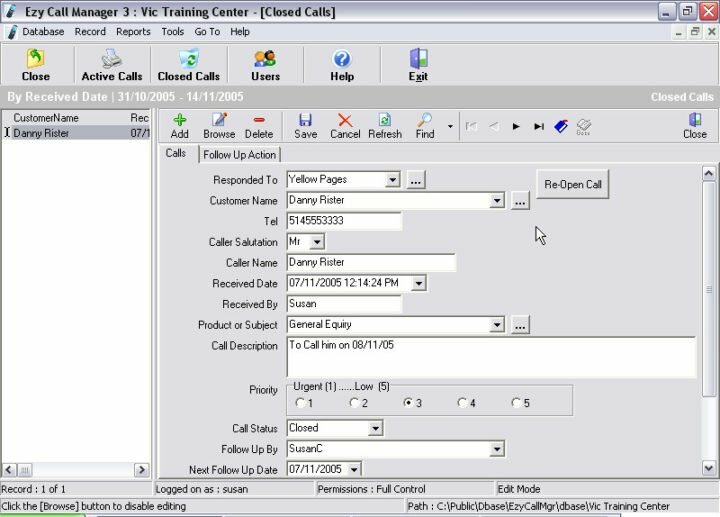 Ezy Call Manager 7 can be used in a standalone environment, or you can share the data among staff in a multi-user environment. This program is ideal for a Sales department and in a Service department as well. It can be used in networks from 1 to 30 users. You can create and open multiple databases, and this means that you can use it for more companies. 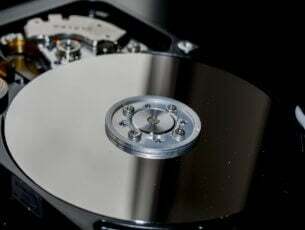 It comes with a built-in Backup and Restore function. You can preview all reports on screen before you print them. Ezy Call Manager comes with powerful search and filter functions for locating specific calls. 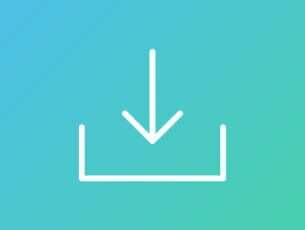 You can check out the complete list of features that come with Ezy Call Manager and download the program from Softadvice website. 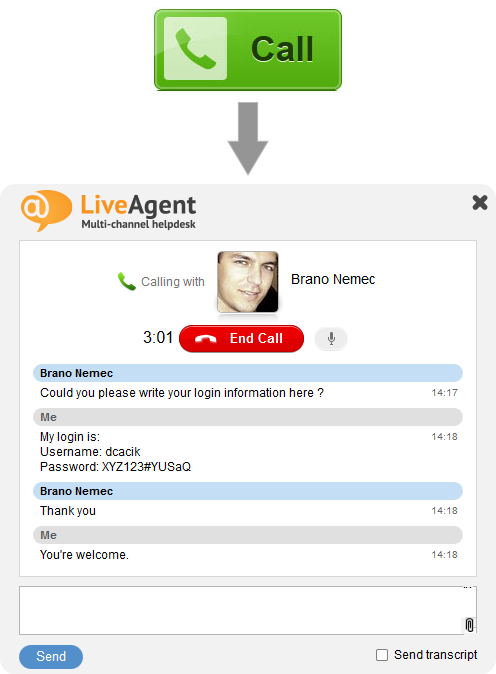 All your favorite cloud call center features are now built into your very own LiveAgent helpdesk. You will be able to receive unlimited inbound calls from customers. This program will provide follow up or proactive support with outbound calls. You can connect your VoIP provides, and you can choose from pre-made integrations. You will be able to receive calls from your website, and all you have to do is place a Call Us button on your website and start receiving calls immediately. You can make unlimited internal calls. 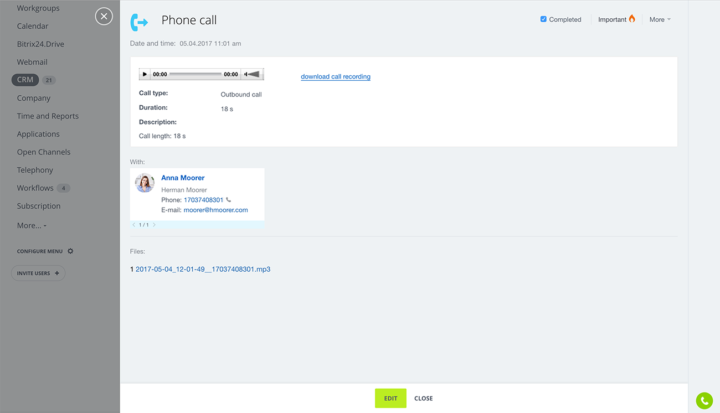 This tool lets you connect with your customers with outbound or follow-up calls. LiveAgent provides you endless possibilities to provide a seamless customer experience over chat, email, and phone. The program is able to transfer calls to specific extension and wait for their pick up. You can route calls automatically by priority, and you can also let LiveAgent randomly assign them. Find out more about LiveAgent and get this useful tool from its official website. 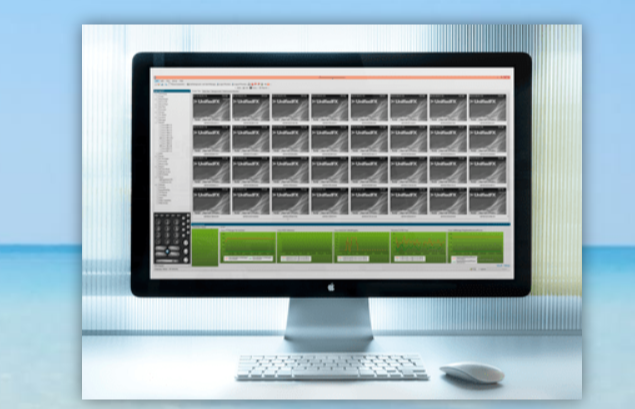 Bitrix24 is a free call management software that gives you the option for even call distribution. This means that incoming calls are distributed evenly between your employees according to set order. You can also have a simultaneous call distribution when all available agents hear the ring and the first one to respond will carry on with the conversation. Bitrix24 provides you ICR – intelligent call routing. This tool lets you set up your own phone hours and decide what will happen to the phone calls that are made during off hours. Internal employee extension numbers are also available with this program. All the phone call can be automatically logged and also recorded. Bitrix24 is optimized for small business use, and it works with your existing phone number. You can also rent phone numbers from 43 different countries. This tool will work with any equipment including with a computer and headset. On the official website of this tool, you will also find the Bitrix24 CRM manual and if you are interested in buying self-hosted editions of Bitrix24 that comes with API, CMS and a source code you can also download the trial version. Download Bitrix24 from the official website and check out more of its vast functionalities. 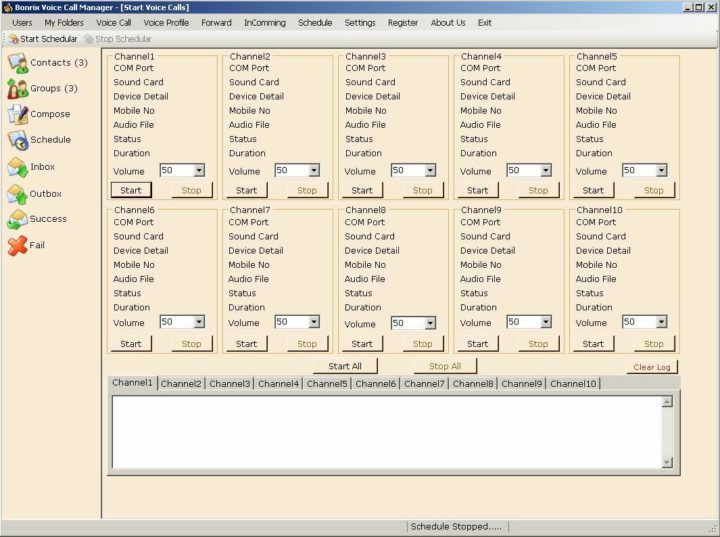 Bonrix Voice Call Manager is a free software that can be used on your PC. It was developed for Windows 7, 32-bit version. The software’s installer file is known as VoiceCallManager.exe. It’s important to note that this program is an intellectual property of Bonrix Voice Call Manager and the antivirus check showed that the program’s download is safe, so you don’t have to worry about anything safety-related. most frequently downloaded version by the program users. Bulk voice calls are pre-recorded voice messages to a mobile or a landline network. Bulk voice calls are automated calls that involve automated dialing multiple numbers at once using computer managed lists or playing a pre-recorded message to automatically dialed mobile or landline numbers. You should know that this communication technique of bulk voice calls comes with a significant advantage. We are referring to the fact that it results in the most penetrative reach and personalized messages that will turn out to be really useful. Download Bonrix Voice Call Manager and find out what more you can do with this software. PhoneView is a Cisco Phone endpoint management solution that allows advanced manipulation of one or more phones. PhoneView is a certified Cisco compatible product that completed the full inter-operability verification testing, and this means that you can be confident of its performance. It comes with a simple interface that is user-friendly. This tool provides an automated grouping of phones and quick and straightforward filtering. You can visualize all phones, and you can also zoom in and out of phone screens. The tool provides a history log of interactions with all phones. You will get a near real-time interaction with remote phones, and you will see exactly what the user sees. You can control one or more phones at once, and you can also send text messages to multiple phones. PhoneView comes with an extensive list of phone commands and advanced queuing for optimal delivery of the phone commands. You will be able to gather phone details and export asset and state information. You can also gather and manipulate the login state. 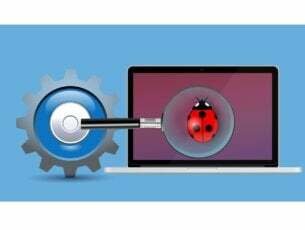 The tool comes with bulk management of the login state. You can migrate users to extension mobility. PhoneView is one of the leading Cisco phone remote control solutions that are available these days, and it will provide unique user interface features. This tool comes with an extended set of features for phone management for PC. You can visit the UnifiedFX official website to find out more about PhoneView and to get it yourself. PhoneView is a client app that installs on Windows PCs. These are some of the best call manager programs that you’ll be able to find on the market these days, and they’re all packed with unique and useful features. We recommend that you head over to their official website where you’ll get the chance to check out more in-depth details on these programs. After analyzing them, you’ll eventually be able to choose the best call manager software for your needs.